This year’s winners were particularly diverse, representing a wide range of musical genres. 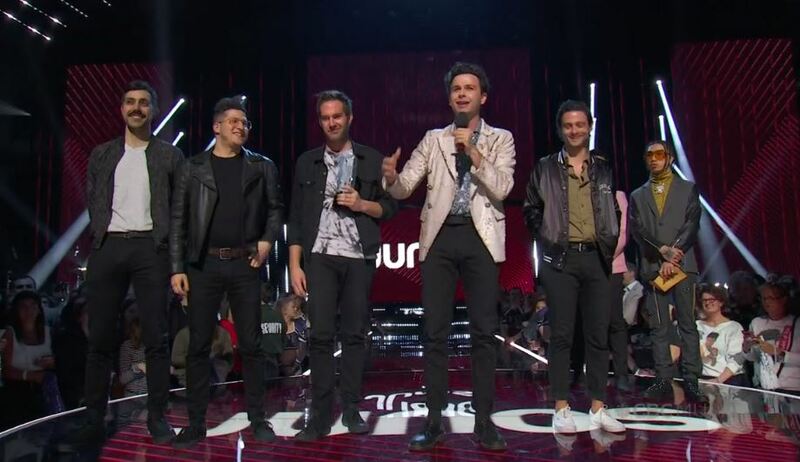 Beloved band Arkells won prizes for Group of the Year and Rock Album of the Year. Also among the Conservatory-connected winners were Laila Biali (Jazz Vocal Album of the Year), Gordon Grdina (Instrumental Album of the Year), Mike Milosh (Album Artwork of the Year), (Traditional Roots Album of the Year), and Splash’N Boots (Children’s Album of the Year). Alumni and faculty swept the classical categories. The Toronto Symphony Orchestra, which counts many alumni among its members, won the award for Classical Album of the Year: Large Recording for its critically acclaimed recording of the works of Ralph Vaughan Williams. Among the featured artists is oboist and faculty member Sarah Jeffrey. Other classical winners included Barbara Hannigan (Classical Album of the Year: Vocal or Choral) and the Gryphon Trio (Classical Album of the Year: Solo or Chamber). Alumnus and Honorary Fellow David Foster received the special 2019 Humanitarian. The legendary producer, composer, and arranger received the prize in recognition of more than 30 years of philanthropy through The David Foster Foundation. The foundation raises awareness about organ donation and provides financial support to Canadian families in need of life-saving transplants. This year, artists and groups with a connection to The Royal Conservatory were nominated for more than Juno Awards. The full list of nominees and winners (in boldface) appears below.